Imagine being able to cut sheet materials - on site - to very accurate specifications - without lugging it back and forth to a table saw. 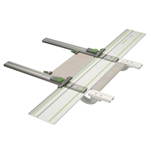 Festool's Metric Parallel Guide & Extension System makes possible exactly that. The Parallel Guide (#495717) attaches to the Guide Rail and holds it at precise settings for highly accurate and repeatable cross and rip cuts. 2 adjustable stops engage the edge and keep it parallel to the cut. 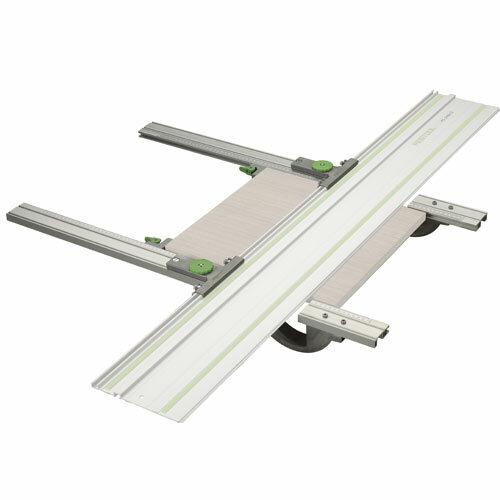 It is adjustable to cut stock from 5-1/2" to 25-19/32" wide. 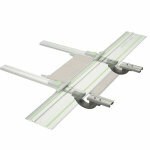 Guide & Extension Set (P00108): Includes both the Parallel Guide Set (#495717) and the Extension Set (#495718). Save over buying both separately.